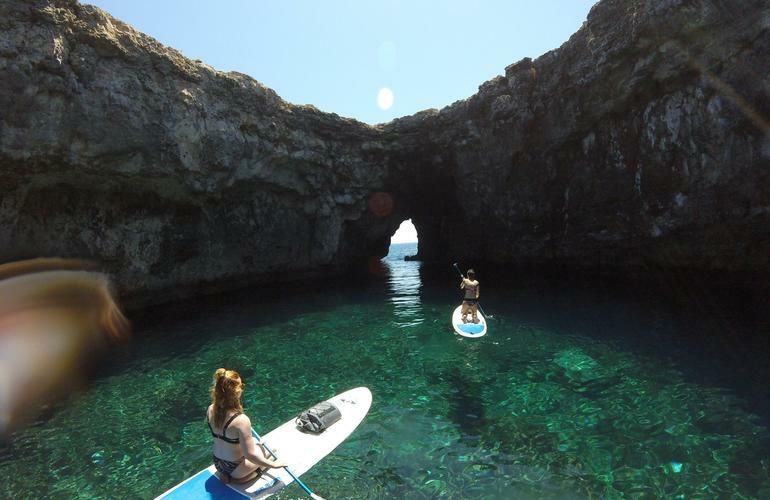 There is no activity that allows you to explore the coast of Malta in a more relaxing way than SUP, short for stand up paddle. 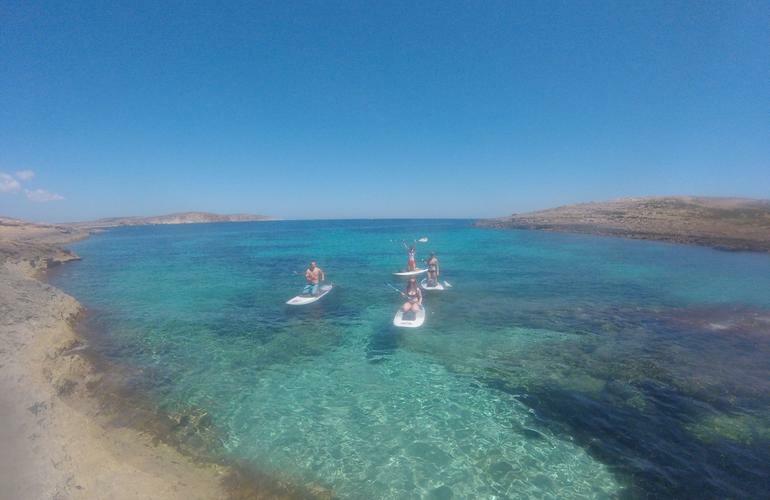 The most successful variation to surfing, SUP, in Malta is a thrilling experience for individuals, friends, and families that share a combined love of the sea and adventure. 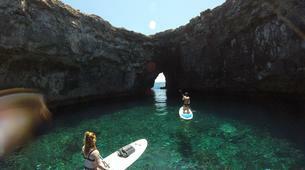 Surfing Malta offers SUP lessons in which you can learn to ride the waves. 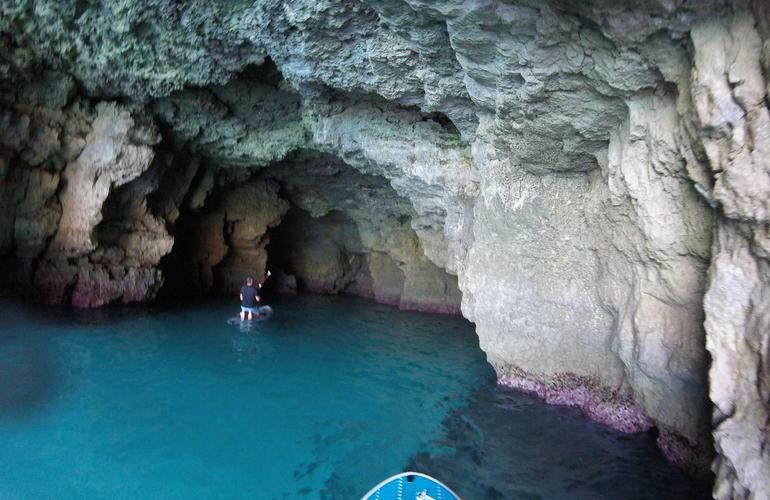 This is a slightly more challenging session for more adventurous individuals, but even if you are a complete beginner you are welcome to try! 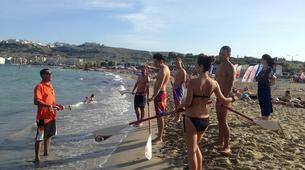 You can also start off with learning the correct paddling technique. 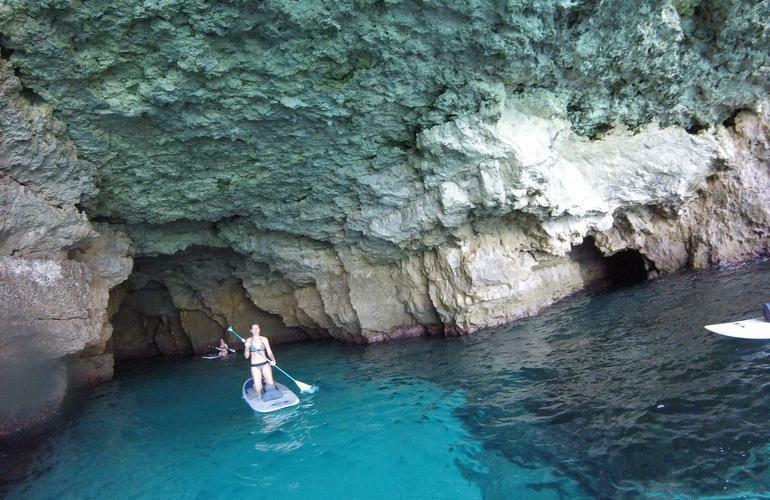 If you want an even more relaxed activity, then a SUP excursion is the way to go. 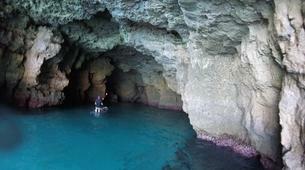 This excursion will start from Mellieha Bay (Ghadira sandy beach) and will take you to Coral Cave. 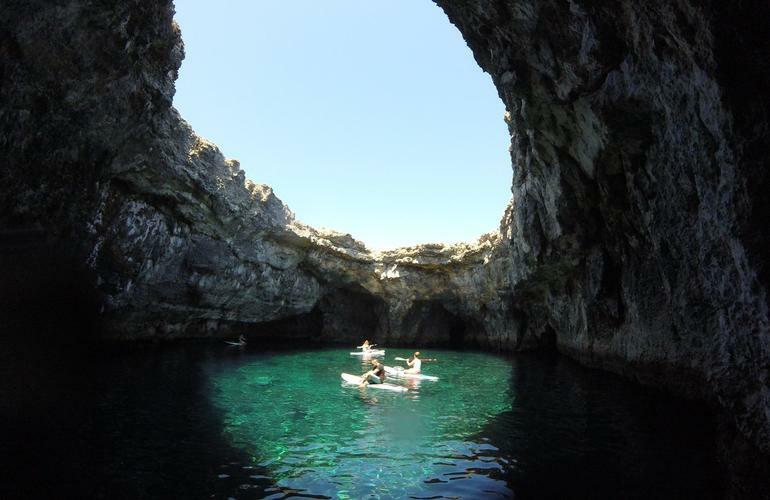 On the way to Coral Cave, you will be paddling beside the Mellieha cliffs. The first stop you'll be at Slug's Bay where you can have a short break where you can enjoy a swim and the nice surroundings. 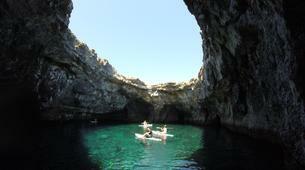 After that, you head towards the Ahrax tal-Mellieha cliffs, on the way there you'll pass by some small caves. 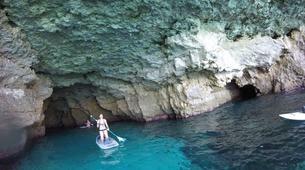 Paddleboarding in Bluetooth lagoon was incredible, also easy for beginners. I would never in a million years think we could do what we did. Once we were relaxed we were able to enjoy it and not be scared.